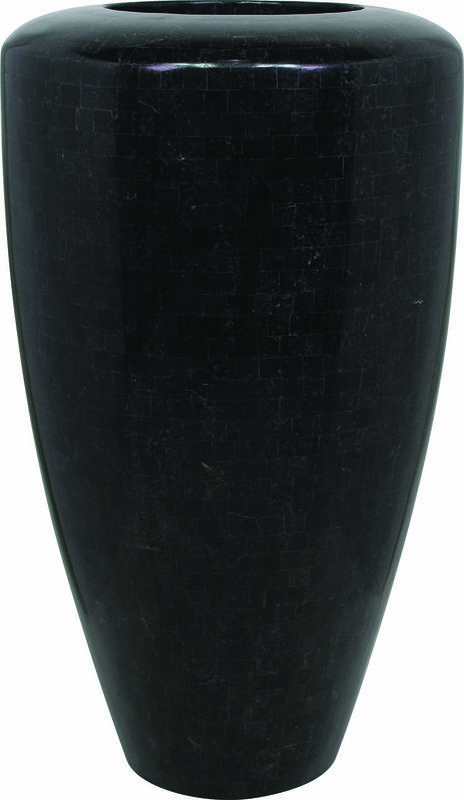 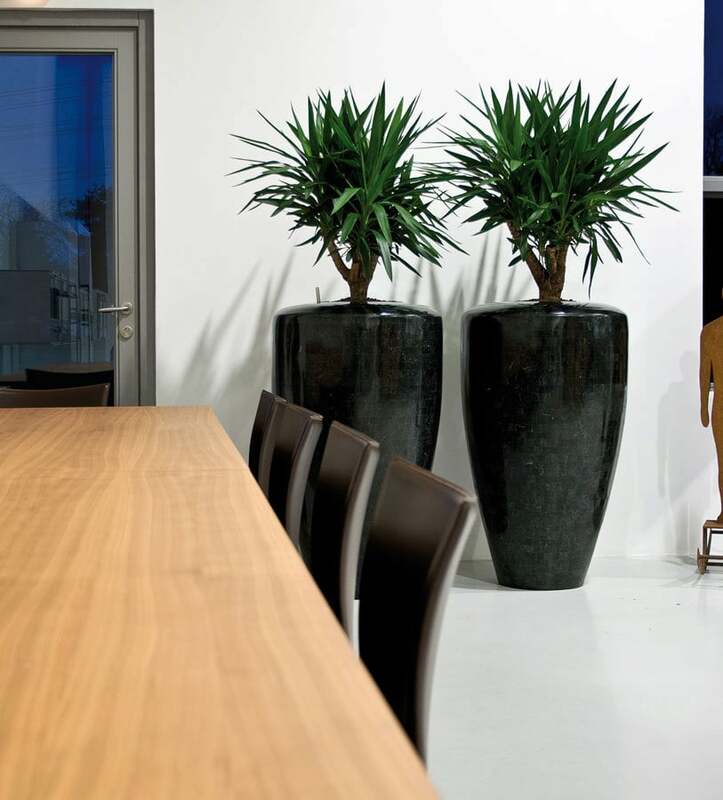 This beautiful planter by Fleur Ami has a particularly elegant surface. 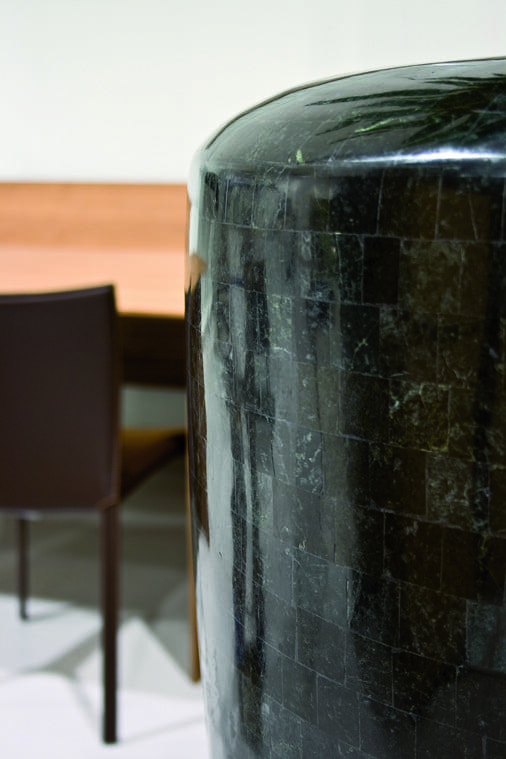 The base is made of durable but lightweight fiberglass and is then filled with rectangular or square pieces of ground and polished stone. The internal diameter is about 14 cm smaller than the outer diameter.